Click on the drop-down box below to order additional parts. 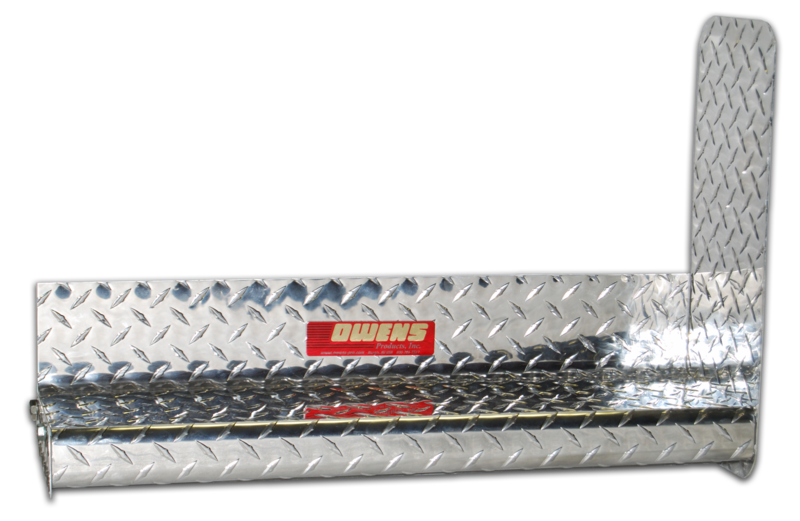 Owens Classic Extra-Wide Universal Diamond Tread Aluminum Running Boards offer a classic design that looks great and offers maximum stepping area. The diamond tread design on these aluminum boards provide natural traction for secure stepping all year round, while full-size stong guards protech your vehicle and boards from road debris. Available in cab or full-length applications, these extra-wide running boards also feature universal brackets to fit an array of vehicles.